Today, Nowescape presents a first-hand account from someone just like you – a regular person who discovered escape rooms and realized he wanted to be a part of this growing phenomenon. Meet Petar, a 23-year-old student from Belgrade, Serbia. 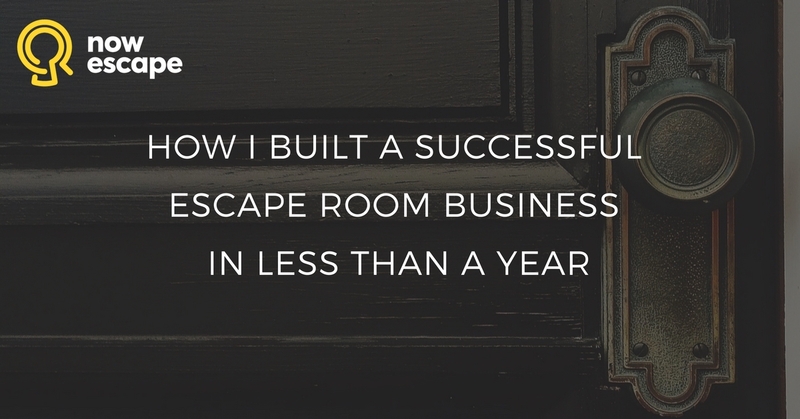 Petar shares his story one year after opening his room escape business, along with tips and advice based on his experience. Let Petar’s story be the inspiration you need to let go of your doubts and start your escape room business! My name is Petar Dragnić. I am a 23-year-old student from Belgrade, Serbia, and until last year I had never heard about real-life room escape games. In May 2015, I was in Iasi, Romania visiting my girlfriend and we saw on TripAdvisor that room-escape games were one of the biggest attractions in the city. I was curious what is that game about. I was imagining how it’s some game in a dark space with some labyrinths where we should find some hidden key to exit, and I thought it’s a game primarily for kids. We visited Inchis Escape Room Iasi and played their puzzle room, “Librarian,” with two friends. The theme seemed very mysterious. It was a story about a librarian who has a lot of secrets in his room. I was so curious to see how does it look inside. The room design didn’t look expensive at all, but it looked very well arranged and related to the theme, so it gave a very intense atmosphere. I really felt like I was a part of some amazing game. During the whole game, I was so thrilled and I really felt a lot of adrenaline. Our objective was to discover all of the librarian’s secrets by solving a variety of interesting and cool tasks. Some of the escape room puzzles also had “wow” effects, which really made me excited. I knew immediately that this was one of the best things that I had ever tried and that I would really like to get more involved somehow. After we left the place, I was thinking in my head how I would like to create an escape game. I thought about the themes and kinds of games that I would like to put in my room. Also, I couldn’t wait to play another game. 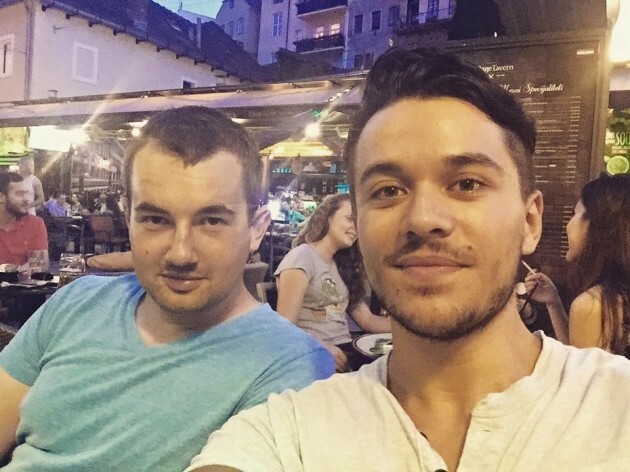 When I returned to my hometown, Belgrade, I called my friend Nemanja to tell him about the experience and to ask him if he was interested in joining my project. Nemanja played one room-escape game with me in Belgrade. After that, he also became hooked, and we started to think about ideas for our escape room. We were doing stuff pretty fast, and it took us a month to enter the space and to get our first room ready for test teams. In the startup process, only Nemanja and I were involved, but we got some good advice from our friends and also from colleagues who tried our room right after we opened. To be able to open our business legally, we had to create a company. 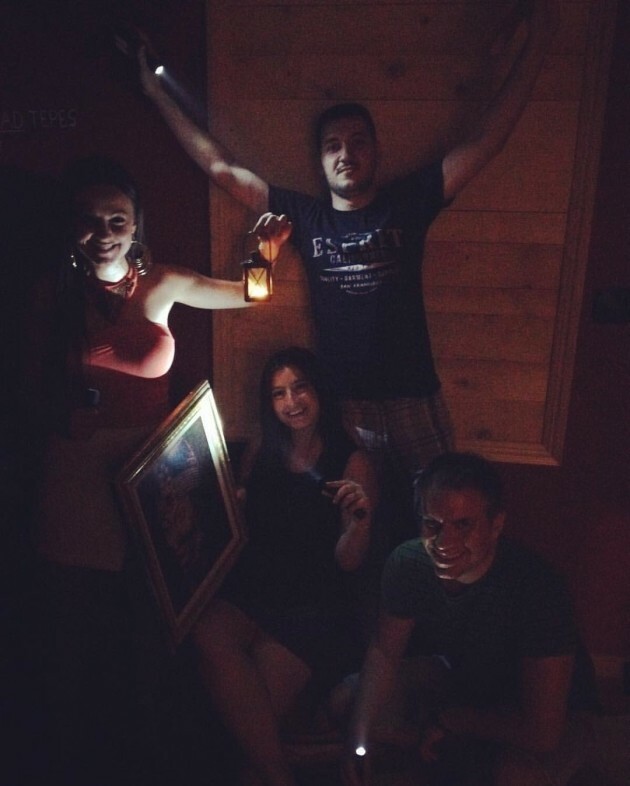 We called it PIN Escape Rooms Belgrade. PIN was short for “Petar i Nemanja,” Serbian for Petar and Nemanja. Our funding came from our savings. We didn’t have a lot of money to invest, but we tried to use our money in the best way possible to create one room that looked great. 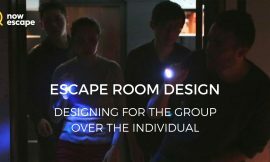 We needed a place with enough space to create one big escape room with a small lobby and control room. We looked at online ads and found an apartment in the city centre to rent. We tried to do most of the stuff in the room on our own, like painting the walls etc., but we also hired contractors for things that we didn’t know how to do, such as electricity. We chose the theme “Dracula’s Chambers” because we wanted to create an old-style historical game with a horror atmosphere. At first, the game was way too complicated, but as time passed and we analyzed the game, we modified it to an optimal and playable level for everyone. We didn’t have full time jobs, so we were taking care of the games, marketing, doing maintenance, and everything else that we were faced with. We also trained a couple of friends to be Game Masters when we were unavailable, but that only happened a couple times. We were amazed how people reacted after playing our escape room. 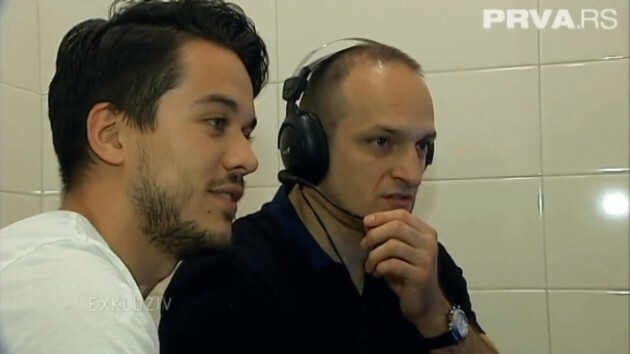 The ones that played for the first time had the same reaction I did in Romania, and even experienced teams were giving us compliments. It was really nice to hear how people liked something that we created. A lot of people said this was the best escape game experience for them; in Belgrade there were many other very interesting escape-the-room games, which made that compliment much stronger. read 6 Steps for Earning the Best Escape Room Reviews. In the beginning of 2016, we received an offer from one of our colleagues who wanted to buy our escape room. We were amazed that someone wanted to buy our game, but we also knew that if we sold it to someone else in Belgrade, that would mean that pretty much we would have to start from zero again. We couldn’t make a deal that would make both sides happy, so we just continued with our thing. They wanted to play a couple of escape rooms in Belgrade and buy the one that they liked most. They played the four themes that they found most interesting, and after playing all of them, they chose to buy our “Dracula’s Chambers” and one more room made by our colleagues. It was really great recognition, that someone not only liked our escape room a lot, but chose to buy it and open it in their city, Zagreb. We are sure they will have a lot of success there. If you are in Zagreb, make sure that you check out Escape Art. Soon after we made the deal with our Croatian colleagues (now friends), one more very interesting thing happened to us. Famous Serbian basketball player, Igor Rakočević (played in Spain, NBA; won World Cup gold medal with Yugoslavia national team and a lot of other awards), visited our “Dracula’s Chambers.” He really loved it, and he asked us if we would like to make some kind of a cooperation with him, because he would love to get involved in escape games in Belgrade. Igor also loves to play this game and to create interesting things, so we agreed to move with him into a bigger place where we could transfer “Dracula’s Chambers” and where we could open a new escape game. Igor joining the team also fit perfectly with our business name. Now PIN stands for Petar-Igor-Nemanja. Our first group of players visited us on 31 July, 2015. We didn’t have to shut down after a couple of months. We’re still open and going strong one year later. We have hosted over 250 groups. We’ve moved into a bigger space and started building a second escape room. We’ve sold one game to a business in another city. We’ve invested more into our first escape room and made it a better experience. I am very satisfied with the results, and since we are very motivated to do this work, I am sure that in the next year we can expect more success. 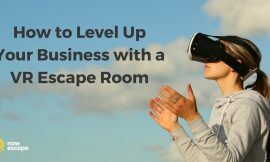 Over the last year, I also learned a lot of things about managing an escape room business. Here is the advice I would give to someone who wants to start this business. 1. Think of the idea and theme of the room before entering your space. If you have most of your idea before you enter the space, the whole process will go much more smoothly. Try as much as possible to have all your puzzles and a list of objects and materials that you will need ready, so the whole process goes faster. I have seen how it can go wrong with some owners because they approached this in a relaxed way. They ended up paying for six months of rent and bills without completing the process of opening their escape games. It’s much better to invest that money in the game or to save it. 2. Test the room very carefully with many test groups before opening it for real customers. Keep track of where people are struggling and if most of them are doing something the way opposite of one that you planned. If something repeats with test teams, it will happen with real customers also, and maybe they won’t like it. If some game is not explained enough or needs one more hint to be solved, or if something just doesn’t work, make sure you fix that before you let the real customers in. No one likes to play a room that has bugs and that doesn’t have good flow. 3. Spend your money on elements that enhance the game. I also noticed that my colleagues and I put a lot of effort – and sometimes a solid amount of money – to make some detail in the room look very nice and relevant to the theme. Then it happened that from 100 groups, only one person noticed that detail and said something nice about it. It’s good that you care about the game and that you are trying to make the best possible room, but some investments may be completely unnecessary and won’t provide to the atmosphere like you expected. Sometimes it’s just better to save money. The room-escape game market in Serbia has changed a lot. The first puzzle room was opened in 2014, and today there are more than 40 escape games in the area, with new escape games opening up every month. I believe that the best way to survive with big competition is to provide an amazing experience to your customers. Analyze a lot what can be improved, and – very important thing – focus on good marketing! It’s very wrong if you believe that if you open an escape room, create a website, and post a couple of brain teasers per day on your Facebook profile, people will just come to play your game. read 21 Ways to Sell More Escape Room Games. One big mistake we made was that we didn’t measure from the beginning the feedback from our marketing attempts. That made us think that sometimes we were doing a good thing because we were putting effort into advertising our escape room, but actually we were just losing our time and energy. Everything you think is a good idea to promote your business, make sure that you write down how people reacted, how many groups or phone calls you got from an ad, and what is the return on investment cost. Also I would advise you to avoid Groupons and other discount websites like that because I think they are not good for you on a long-term basis. 5. Consider collaborating with the competition. Our advertising was mostly focused on Facebook, Instagram and TripAdvisor, but we also formed an organization called “Escape Club” with our colleagues, where we gathered to think of marketing ideas that we could do together to spread the word about the escape room concept. Escape Club did a couple of cool things. We created a website with a list of all room-escape games in Belgrade, and we funded some ads together. For example, we paid for radio ads and ads in magazines for gamers together. We also recommended each other’s rooms. 6. Do what works for you and your customers, even if other people are doing it differently. Our policy in the beginning was to charge customers by team. We allowed two to six players per team and charged a price of 4000 RSD (around 33 euros) per group. We saw that this was a common practice in Belgrade, so we just slipped in with same rules. After some time, we realized that charging per player is a much better option, both for us and for the players. When you charge per team, it’s expensive for a team of two players, so they invite three or four friends to split the price. But this can negatively impact their experience. From my point of view, playing in teams of five or six can be very confusing, and players can’t really enjoy the game as they would if they played in smaller teams. When you charge per person, you encourage customers to come even as two-player teams. I am very happy when we have those groups. Also, we don’t allow any more teams of six players because we think it’s too crowded, at least in our escape game. 7. Provide outstanding service and be prepared for anything. Since both of us had experience working at a fine dining restaurant in the United States, we knew how to provide good customer service. However sometimes it was really hard to handle the people. Some people were just rude and didn’t want to play the game how it’s supposed to be played, or they were trying to open the locks by force or by manipulation. If you are an owner, you probably have similar stories. If you are future owner, be sure that you will have this kind of group also. If that’s how they want to play, let them play and enjoy that way, but as a game master who protects his room, you should warn them before the game that those things should not be done and that any damage to the room will be added to their bill. 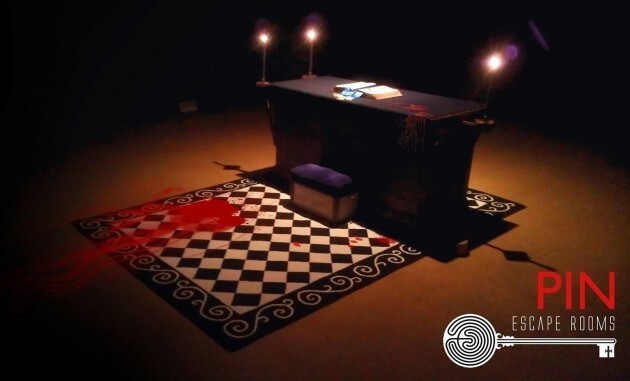 Although almost everyone had biggest compliments for our first escape room, we want “Murder at the Masonic Lodge” to be a level up compared to all the escape rooms in Belgrade, as well as all the escape rooms that we played in other countries. I think we will make it happen, because we invested a lot of thinking and creativity to make an interesting scenario and tasks. We also have more experience now, so we can organize the game better to make people have an amazing time in it. We really want this game to be something that players couldn’t experience anywhere else, even if they played over 100 escape rooms worldwide. I think that with this second escape room, our salaries will become much more satisfying, because so far it was more a hobby for us than a real job. Expanding the number of games means more work but also more profit. We are still heading toward that, but I think the best way to go in that direction is to focus on providing the best escape games to players, and then the money will come on its own. I am looking forward to creating new escape games because it’s a very exciting process and something that I really love to do. Escape rooms are low-investment businesses that almost anyone can set up. They are also one of the fastest-growing entertainment businesses worldwide. 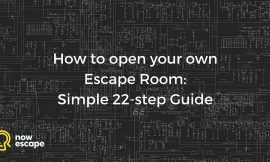 Considering opening your own escape game business? Get started here.